Last year I read 52 books, a very DC Comics-esque number that averages to one book a week. This year I didn’t read nearly that many, but I’ll go into why after the list. As is standard for me, most of my reading is fiction. The only non-fiction title on the list is the highly-recommended The INFJ Writer by Lauren Sapala. I recommend it not just to INFJ writers, but to all writers and all introverts. The book I liked best was Tuesdays at the Castle and the rest of the Castle Glower series by Jessica Day George. It’s kind of surprising that I only first read those books less than a year ago. The tales of Princess Celie and her magical castle already feel like classics to me. The runner-up has to be Bluescreen by Dan Wells. I also liked the heck out of Calamity by Brandon Sanderson, and it was the book I read the fastest this year (two days), but the finale of the Reckoners series just wasn’t as satisfying to me as the freshman offering in the Mirador series. Bluescreen was just awesome — cool tech, great characters, and lots of question arcs to keep me turning pages. In early August I started The Elfstones of Shannara by Terry Brooks. I’m enjoying it, but it’s long (especially for me), and it’s not on this list because I haven’t finished it yet. I spent the second half of the year catching up on some TV shows I’d always wanted to try but long neglected. I loved all of these shows, but there’s no question about it: The Flash (season 1) was the best TV I watched all year and one of my favorite television stories ever. The Flash has been my favorite super-hero for a while now due to all of the amazing and creative applications of his lone super power. Season 1 of his TV show was masterful. The way the show’s mysteries (who is the Reverse Flash? what happened the night Barry’s mother died?) played out over the course of the season kept me glued to my TV, tablet, phone, or whatever device I could watch Netflix on. The Flash (season 2) might have been my second favorite if not for its ending. Zoom was a frightening villain, a total monster heel who was genuinely scary, especially after he broke Barry’s back and after it had become apparent Barry simply was not faster than him. But that ending. Oh gosh… season 1’s ending brought all the feels. Season 2’s ending just made me want to slap Barry upside the head. Because of The Flash season 2’s stumble at the finish line, my second favorite show of the year was season 1 of Supergirl. I didn’t think I’d like it nearly as much as I did, but a story mix that was equal parts the story of Supergirl and the story of Kara Danvers won me over. Cat Grant and her dialogue were also highlights. So that was my 2015 in media consumption. There’s lots of good stuff coming in 2016. I’m especially looking forward to the conclusion of the latest Kingdom Keepers series, the finale of the Castle Glower series, and the next book in the Mirador series. I also want to get to Robert Hewitt Wolfe’s new novel and the first book in Veronica Roth’s new series. Yes, in some ways, I am Henry Bemis. May I never break my glasses. Howdy, strangers. I missed most of December ’round here because we moved into a new house early last month and I’ve spent the last three weeks unpacking. But it’s time to get back into it and I’m going to start with my 2015 reflections. In the coming days, I’m going to take a look back at what writing I accomplished this past year and then I’m going to look forward at 2016. But I’m going to start easy. Below is the list of books I finished reading in 2015, in chronological order, because I really do put my entire life in OneNote. Did you read any of these (either in 2015 or earlier)? What did you think? What did you read in 2015 that was awesome? Let me know in the comments. In some stories the hero and the villain are former friends, like Darth Vader and Obi-Wan Kenobi. Other times they’re enemies from the start, like Batman and the Joker. But regardless of their history, in most stories the hero and the villain meet multiple times, and the hero’s repeated efforts to beat the bad guy can make for an irresistible tale. But what about those stories in which the chief antagonist appears in just a single scene? There aren’t many of them, but when pulled off successfully, that villain and his or her single scene can be amazing. This article is a tribute to one-scene villains. I started thinking about this subject when I recently read The Hero and the Crown by Robin McKinley. In that Newberry Medal winning book, Aerin reaches the wizard Agsded’s fortress, defeats her uncle in a battle of magic, and causes his fortress to crumble all in a single scene. It’s a great sequence in a great book and (spoilers) it’s not even the story’s climax. 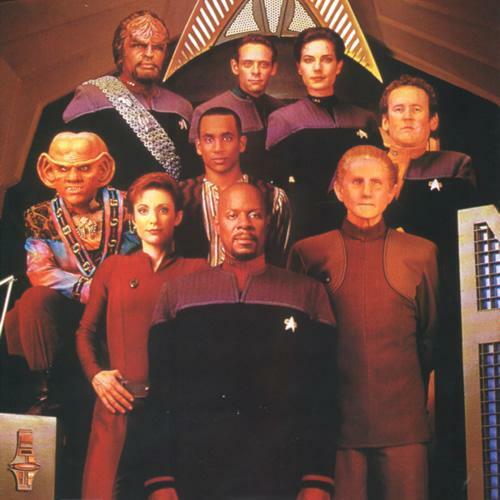 Aerin has to get home to Damar for that. My favorite one-scene villain is Galbatorix, the chief antagonist of Christopher Paolini’s Inheritance cycle. What’s that you ask? Doesn’t the Inheritance cycle consist of four books and almost 3000 pages? Yes, it does, and the main villain appears in just a single scene. As Galbatorix spoke, the curtains behind his throne shifted and rose toward the ceiling. With a sense of shock, Eragon realized that they were actually Shruikan’s wings. That moment when Eragon realizes Galbatorix’s throne room curtains are the wings of Galbatorix’s enormous black dragon is my favorite moment in the entire cycle. So, so cool. As I have documented here often, my favorite video RPG and one of my favorite fantasy stories from any medium is Phantasy Star. The game’s main antagonist is King Lassic, whose troops murdered Alis’s brother Nero. Alis and her friends fight his monsters, his Shadow, and his gold dragon before they finally confront him. The battle is his one and only scene in the entire game. Phantasy Star II’s main antagonist, Mother Brain, is also a one-scene villain. But when it works like in Inheritance or Phantasy Star or The Hero and the Crown, it makes for one fantastic story. Tell me in the comments about any other one-scene villains you like. Fantasy video game storytelling for the win! Brandon Sanderson has a new book out. Shadows of Self is the latest in his Mistborn series. I’m a fan of his Stormlight Archive series (though I think its books are too long) and I’m a huge fan of his Reckoners series (which I think is just about perfect), but I haven’t read any Mistborn yet. I will, though! There will be some continuing threads. (A few characters from Mistborn will be weaved through the entire thing.) However, to make this all work, I decided I needed to do something daring—I needed to reboot the Mistborn world periodically with new characters and new settings. As a warning to writers out there, this is usually considered a publishing faux pas. Readers like continuing characters, and creating breaks as I have done (and will continue to do) often undermines sales. Readers naturally feel a momentum in finishing a series, and if you give them a break point—with everything wrapped up—the push to get out the door and read the next book isn’t there. This concern struck me as very odd. I didn’t see what was so crazy or ground-breaking about Sanderson’s Mistborn strategy. And that’s not meant to knock Sanderson and say he’s not imaginative! But then I realized something. I love fantasy books, but novels are not where my personal love of fantasy was born. My love of fantasy was born in video games. And fantasy video games employ Sanderson’s long-term strategy for Mistborn all the time. 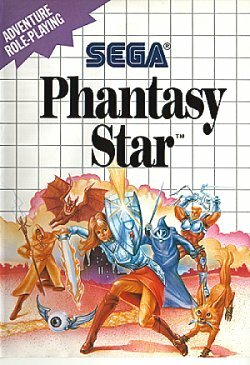 I adored the original Phantasy Star when I first played it in the summer of 1989. I was elated when I heard there would be a sequel. When I heard it would take place 1000 years after the original, I said, “Huh?” I wanted to see the continuing adventures of Alis Landale and her friends, and since none of them were immortal, I knew Phantasy Star II wouldn’t feature any of them. Maybe this is the publisher fear that Sanderson mentions. But I still loved Phantasy Star II, and the rest of the games in the series. They didn’t continue the story of Alis Landale, but they continued the story of the Algo star system. The common thread among them was the place, the magic, the items, and the legends. And despite what I initially thought, some of my beloved characters from the original game did continue to return throughout the series. Sounds pretty similar to what Sanderson is trying to do with Mistborn, doesn’t it? Other video game series do the same thing. Each new Wild Arms game focuses on a new era in the history of the planet Filgaia, with all new characters. Heck, each new Final Fantasy game doesn’t even take place on the same world, and that series is undoubtedly the most popular video RPG series of them all. I suspect this technique is necessary for video RPGs to facilitate challenging gameplay. I spent a lot of time in Phantasy Star equipping Alis and her friends with the best weapons and raising them to their maximum experience level. It would be wildly inconsistent and feel like a cheat if the sequel had featured the same characters back at Level 1 wielding knives and wearing leather armor. Sanderson’s publisher has nothing to fear. So long as the name “Brandon Sanderson” remains on the cover and the same top-notch storytelling is found inside, they’re going to sell books. But I’m grateful Sanderson’s post got me in a reflective mood and made me realize what a debt I owe to video RPGs. Many folks may hear “fantasy” and think Middle-Earth or Pern. Nothing wrong with that! As for me, the first place I think of is the Algo star system.